Today we head towards the beautiful region of Vinho Verde where the grape variety Alvarinho is queen. 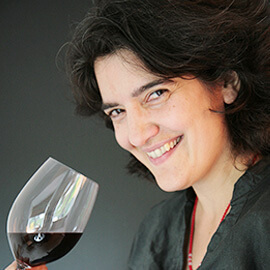 It is the terroir of Monção and Melgaço that gives birth to the best specimens of Alvarinho, and very recently, by the hand of Quintas de Melgaço, was released one of such specimens of taking off the hat. Around there, it all began about 20 years ago due to Amadeu Abílio Lopes’s love for the homeland (Melgaço), founder of Quintas de Melgaço and who was recently honored with the launch of this QM Homenagem Reserva 2014. The Quintas de Melgaço brings together passion and tradition, we’re talking about more than 500 producers in the region that get their grapes to the winery. 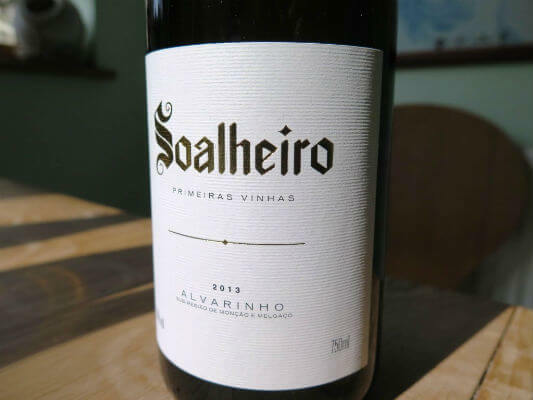 From the best Alvarinho grapes of 2014 was born this precious and rare wine, which aged in wood and had a final production of around thousand units. At the risk of repeating myself, it is necessary to draw the attention of consumers to the current quality of white wines created in this region of excellence. The evidence regarding the quality and longevity are more than proven year after year. A warning that suits wines of all ranges because even the cheapest wines have surprises just around the corner. The truth is that the virtuosity with which the Minho white wines glow at the table is fantastic, even more so if we consider it as an accompaniment to everything that is fish or shellfish. They seem to have the Midas touch and it should be noted the fact that the region did not let itself be consumed by external grape varieties instead of its native grape varieties Alvarinho, Loureiro, Trajadura, Avesso… because they were able to understand that this is there where they shine and know how to win us with all their energy and perfume. Let us, therefore, meet the will of such a special wine like this QM Homenagem Reserva 2014, which enjoys a fantastic energy and freshness. The grape variety shows itself with panache and some daringness, razor-sharp acidity with a good mineral austerity in the background. The passage by wood gives it extra complexity and slightly calms its spirit, for the rest it’s one of those whites that needs time in the glass but essentially in the bottle, for further growth. It was accompanied by a white grouper cataplana with cockles and mussels, to be drank and cry for more. ‘Scales fall from the eyes.’ It’s a dramatic phrase. One which I use twice in this post so, dear reader, I felt a responsibility to investigate its origin. Perhaps you already know that it comes from the Bible. It is the tale of Saul, a persecutor of Christians who, having had his eyesight restored by a Christian, sees the light and converts to Christianity. My conversion to Vinho Verde, or more accurately, Alvarinho, was hardly a religious experience. But I must admit that I have been somewhat evangelical about Alvarinho since I first discovered it some 12 years ago at the Annual Wines of Portugal Tasting. It was an unusually hot, sunny London day – where better to slake my thirst than the Vinho Verde table? As I took my first sip of Palacio da Brejoeira Alvarinho, I experienced my first scales fall from eyes moment. I learned that Vinho Verde didn’t just come in the shape of off-dry, spritzy, commercial quaffers. The Brejoeira was as elegant and refined as its delicate flute bottle. And it knocked spots off the Rias Baixas Albariño I then sold at Oddbins! My second scales fall from eyes moment? 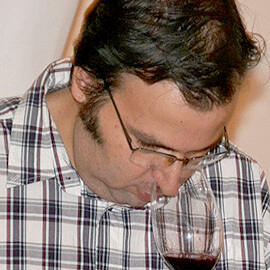 It was a vertical tasting at Quinta de Soalheiro with winemaker Luis Cerdeira. We tasted this, the first Alvarinho brand in Melgaço, going right back to the 1995 vintage. Another myth busted. Not all Vinho Verde is, as we say in Hugh Johnson Pocket Wine, “DYA” (drink the youngest available). The ’95 (unoaked) was glorious. Plant the right grape variety (Alvarinho) in the right place (Monçao e Melgaço) and it thrives, even after 14 years in bottle! 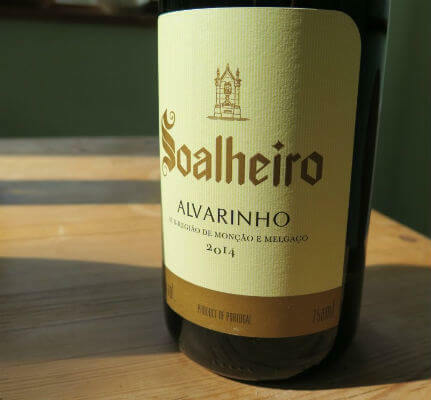 Going forward, it will pay to check Vinho Verde labels for that all-important sub-region, Monçao e Melgaço, because plans are afoot to allow all Vinho Verde producers, not just those located in Monçao e Melgaço, to put Alvarinho on the front label. What makes Monçao e Melgaço Alvarinho so special? The clue is in the name of Cerdeira’s quinta. Soalheiro means sunny and, located inland and sheltered from Atlantic influence, Monçao e Melgaço is Vinho Verde’s driest, sunniest region. Maximum yields are lower too. Which explains why this sub-region’s Alvarinhos have the concentration to age so brilliantly, not to mention great complexity and finesse. 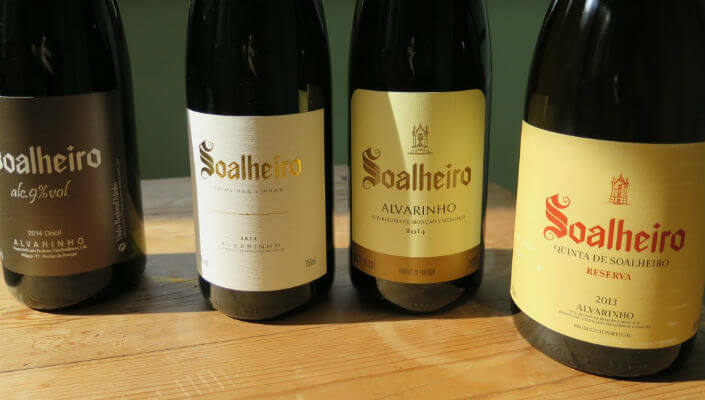 I’m looking forward to sharing these ‘scales fall from eyes’ experiences in June at a mini-vertical tasting at Quinta de Soalheiro (and a visit to Palacio da Brejoeira), when I shall be leading Blend-All-About-Wine’s premium tour of top notch Vinho Verde and Douro producers. I hope you can join me. 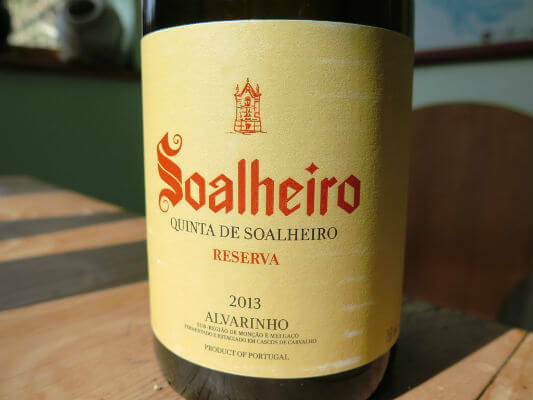 Here are my notes on the latest releases from Quinta de Soalheiro. This medium dry, round, textural Alvarinho reveals a cascade of flavours as it opens up, from syrupy poached pears, pear skin and lychee to passionfruit. A slow, very gentle, pulse of acidity teases out the flavours. Very different from racier dry styles – a slow mo[tion] Alvarinho. 9%, 48g/l residual sugar. 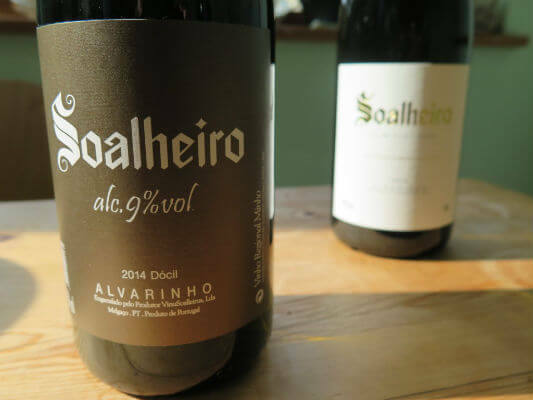 Incidentally, Soalheiro’s range of Alvarinhos extends to an aguardente Alvarinho and ‘allo’ a Minho blend of Alvarinho and Loureiro. Like I said, every which way!